CANBERRA, Australia -- Prince Harry and his wife, the Duchess of Sussex, are expecting their first child in the spring, Kensington Palace said Monday. 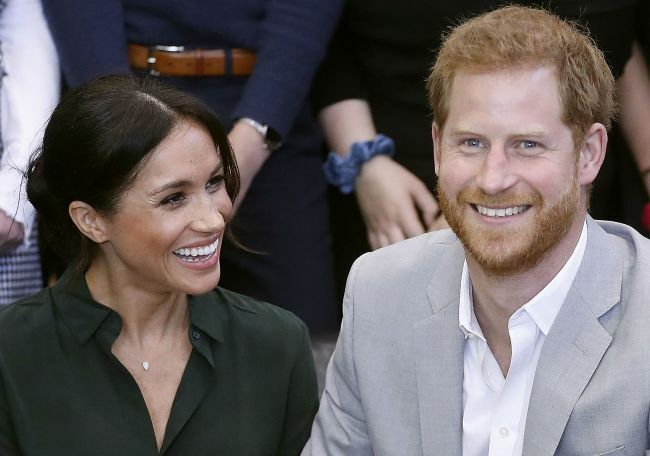 Their royal highnesses have appreciated all of the support they have received from people around the world since their wedding in May and are delighted to be able to share this happy news with the public,” the palace said in a statement. Harry and Meghan -- along with Prince William and his wife, Kate, the duchess of Cambridge -- have stepped to the fore in the last year as Queen Elizabeth II, 92, slightly reduces her public schedule. British Prime Minister Theresa May offered her “warmest congratulations’’ on the news, which provided a bit of relief from concerns about the stalled Brexit negotiations. “Wishing them all the best,’’ May tweeted. “I can’t wait to start a family, but in due time,’’ she said. “I want to ... commend Prince Harry for his tremendous initiative in lifting the spirits of every single serviceman and woman all around the globe,” Morrison said.